Who says Gamescom, says Final Fantasy XIV and when FFXIV is in a big show, you can be sure to find Naoki Yoshida ! We interviewed him, here are his answers! Finaland : In the last major patches you have added some visual effects on some of the game mechanics, for example the big orange mark when the players need to pack together so they can split the damages, or like the big red eye when we must turn away and don’t look at the boss. Those gameplay mechanics have been here since version 2.0 and we didn’t have any indications before, we had to know the enemies and know their different attacks. Don’t you think you’re making it too easy for the players by giving them so much visual informations? Yoshida : It’s not that I’m trying to make the content easy. We made it because I feel it would be unfair on the player side. Each content is made by different people of our team and they want to bring in some new attacks and movements for each monster. However say one attack needs you to share damage with party members, the movement of this monster may be different, but the effect, the fact that you have to share the damage with other players is still the same, so in that case we wanted to have this coherence, the exact same sort of system behind it. If it’s a really new attack or new movement then it’s gonna be a new mark or new AOE indication but however if the attack is in the same sort of category and working the same as one that is already in the game, then we wanted to have a similar visual effects. I told all of the development team members that we should have this sort of coherence and the same indications, we tried to make those similar so that it does not get too confusing to the players, that’s why now we have all those visual effects into the contents but the intention is not that we wanted to make it easier, but that we wanted to make it fair. If we take the road signs for example, you use the exactly same signs all over one country. If you have different states in one country, the road signs are consistant everywhere you go right? This is exactly the same for FFXIV, if we’ve done it before, then we will use the same mark to avoid to make people confused. Also, rather than doing the same gimmicks over again and again, I asked the dev teams to come up with new ideas, with new different gimmicks. That is the policy in play currently for the development team. 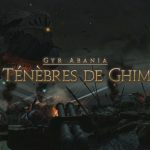 Eorzea Times : We had already talked about it last year, but the limited capacities of the PS3 create restrictions in the development of the game. Has a decision been taken regarding the abandon of the support of the PS3 version when the game will passes on the 4.0 version ? Yoshida : As we have announced before, we are gonna continue the support of the PS3 for the rest of the 3.X series. The status has not been changed. Whether or not it’s going to change after that, we are going to make the official announcement when the time comes so if you can wait for the announcement that would be great. Finaland : Two MMORPG has been released in Western countries : Blade & Soul and Black Desert Online. The first is a F2P, the latter is a B2P. These two MMO were long anticipated by players. Have they had an impact on the number of active players? Have you tried them ? Yoshida : As for the question about if it has been affecting the number of accounts of FFXIV, the answer is no. For the other question yes I played both titles, especially because B&S has been released quite a while ago in Japan and I also tried Black Desert. Finaland : Are there any ideas that you saw in those two games that you would like to add in FFXIV ? Yoshida : These three games, Black Desert, Blade & Soul and FFXIV have game designs totally different so we can not just bring the same contents that are in the other games to FFXIV. We would have to change the game design from scratch to accommodate that, and the same goes for their games, if they want to add some contents from FFXIV they would have to change their game from scratch. So now we don’t have any plans like this. Just to give you a support information, when those two games came from Korea to Japan, both of them had a subscription model. Before these games came to Europe and America both of them took the subscription based model but when they came here in Europe, they took F2P or B2P model. Eorzea Times : Final Fantasy XIV follows a very specific pattern in its patches and is, in some ways, very repetitive. The main problem is that many players feel forced to farm content and grow weary of the game, often finding that the majority of the game lacks challenge, even the original content. This is a typical problem of many modern MMO. Will you completely change the pattern for the next expansion? Yoshida : I can totally understand your point but when people say “this content is easy”, the development team works on some contents and make it really hard, and then people try it but they cannot clear it and they then start to say “this content is really difficult” so it’s really difficult to draw a line but we tend to see that the players trying to beat a content are saying “this content is challenging” and once they clear it then they say “it’s easy”. We cannot just make the contents depending on your feedback each time, otherwise there will be not balance. To provide a content, creating a content where as many players can play, that is the basic policy that the development team wants to have. It’s also true that because the pattern is kind of set, people can speculate in what is gonna come into the next patch, but if we totally changed it, say if we were not going to give you any contents update then you would start to realise how great it was when you’d get the regular contents update. So the stability, the situation that in each patch you get something that is the core of the new content is needed, if you totally don’t get that then you would start to feel like it’s gotten worse. For example we release two dungeons in each patch but if we reduced it to one they you might say “one is not enough and we might just get bored of it so please bring it back to two !” or if we released raid dungeon really rarely, then you might think that you had one raid every six month, every two patch, but now you don’t get anything so then you’d might want to get the pattern back. Probably you might think that because you get everything each three months it’s kind of normal for you and that’s why we want to bring in some new contents and new ideas like Aquapolis and Deep Dungeon, so we still keep on releasing the patch updates each 3,5 months but we’re adding more contents like this. This is the development team effort to come up with new ideas and keeping updating the game but also giving new elements to it. Also at 3.4 launch some new features will also be added in the game so please look forward to this content. I would like to add two points to this, the first one is about the relic quest, the anima weapon quest which is time consuming. You might say it’s going to be time consuming and it’s not really challenging but the reason we have this content in game is to support those who are not good at playing the game, say to beat the raid contents to get the higher items with higher item level, so if this relic quest was too difficult for them then it’s going to discourage them to try it, that’s why this is our intention to make it less challenging for the anima weapon quest. 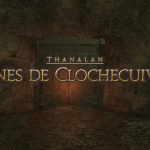 And finally if you really want to have some challenging contents, with patch 3.45 Deep Dungeon will have another 150 floors to the current ones which mean the total number of floors will be 200. You may be able to get to the 100th floor relatively easily but from the 101th one to the 200th it will be really difficult so if you want to challenge this please try this, and in solo too, also a ranking system will be added too so if you want to get to the top then you will have a hard time to clear the contents ! Finaland : Yoshida-san what is your favorite dish ? Yoshida : Meat ! Meat and ramen ! Finaland : Could you eat it everyday ? Yoshida : Steak would be heavy to eat everyday but yeah I can survive with eating ramen everyday. Yoshida : I totally understand your point, I also know that you love the game that’s why you want something new to the game, however if we put something, some content with a different design that is not following in the FFXIV way then the game is going to be crushed. It will not be FFXIV anymore. I actually saw a lot of competitor titles that actually failed by doing this so we want to avoid to be in the same situation. We are still keeping the contents update with each patch but it’s totally okay for you to have some time where you don’t play the game in between patches but when the new patch comes on you’re coming back to the game and you might feel fresh after you played some other games, then by coming back to FFXIV you might feel that there’s something new. This is the kind of play cycle that I’m suggesting, but what I don’t want to do is break the game. I totally understand, so with 4.X series we would like to give you some really new contents and challenges, this is something that we would like you to look forward to it. Eorzea Times : Some free companies dream of open areas exclusively for high level, difficult , where monsters can not be fought solo but with a group or alliance, where monsters do not stop when you’re sprinting, where we find the defensive and conquest contents, an area that really evolve based on the results of the actions of players in the area, etc … Basically something open, scalable, unlimited, promoting the organization, and really hard. Yoshida : (laughs) It’s something of a totally different game, this is not FFXIV. To give you a more logical reason, in order to make a really difficult content, you need to have a really logical setup and settings and damage balance to it. You have to start off with some mathematical calculations behind it, many formulas for the settings. Think of an Extreme Primal for example, you fight with a group of 8 people, but if this was in open field, we couldn’t know how many people there would be, so the formula is always made by X and Y but we couldn’t put the specific numbers to it, so if you want a really difficult monster to pop in an open area it’s mathematically impossible to create basically. Probably you must have played a lot of MMOs from the old school ones, so you must know it, but take Extreme mode Ifrit for example, if you beat it with eight people you might feel that’s still challenging, but if we put it in open field with a bunch of players, more than eight, and a tank kites this monster and he just keeps running around and other people just keep attacking then this Ifrit can just die immediately and there will be no gimmicks that he normally does, like eruptions and stuff like that, he won’t be able to do it. And those things are actually what makes Ifrit what he is, so we have to limit the area and limit the number of people to play the content otherwise it’s going to be totally impossible. This idea is not that simple to realize, so if you can understand that would be really appreciated. However the development team is currently creating something similar to the content you suggested. Something like having a gigantic monster popping somewhere and you need to have an alliance to actually beat it. This kind of content that we are creating is a new idea but I must say that something like affecting the map by your actions, like a meteor falling from the sky and hit the ground like you say, that could not happen. We are trying to make a similar content so please wait for more details and announcements in the future. Finaland : You’ve been asked many times about the housing in the city of Ishgard and you’ve always answered by saying that it cannot happen while the Dragonsong war is still ongoing. This chapter is now finished so will we be able to settle down in Ishgard soon ? Yoshida : As for the housing, and new housing areas the plans have been proceeding, this is only what we can say at the moment., but don’t worry. 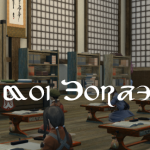 It’s not that we expand the current housing areas we have in the 3 locations, it’s not that we add new housing plots to that, we are making a totally different housing area apart from Limsa, Ul’dah and Gridania, somewhere new. Finaland : You have started to add some exclusive items from the Korean and Chinese server. However, it’s only minions. Will you add the outfits and mount from these servers ? They are quite popular ! We want the flying supersonic cloud too ! Yoshida : We heard this feedback and because of this we’re trying to sell the China dress on MogStation for the Global version users like you. If there are a lot of demands and requests, then we can look into it. So if you can write a lot of posts on forum then we can take that into account. Eorzea Times : Tank outfits contest was nicely received by the community, do other contests like this are planned for the other roles ? Yoshida looking at Toshio Murouchi : What do you say community boss ? You weren’t listening ? Yoshida : Yes we will do other contents with different roles, not just tank. 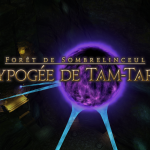 However we cannot do this to each Job, so we have to keep it to the role basis, however we can divide DPS role in melee and ranged for exemple. For exemple Dragoon tend to wear heavy armor types of equipement whereas Ninja is more like clothes and light fabric, so if the DPS’s contest winner’s design is more towards dragoon and you are a ninja, please accept this because it would be really hard for us to do it for each job. Can you make a brief review of those 3 years ? For example have there been things that you did and regret today, or maybe you wish you’d done differently ? Did you have any objectives that you couldn’t meet ? I’m thinking for example at the in game add-ons that were promised since version 2.0. And finally what are your greatest satisfactions regarding what you accomplished in the last 3 years ? 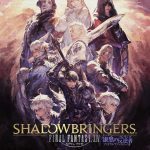 Yoshida : It’s a really difficult question… Something I wish I had done would be adding a lot more content and releasing more patches but the development team is working their hardest with a really tight schedule and a massive amount of workload so it’s almost impossible to do this. But if I could go back in time and talk the past Yoshida I would say that the level 60 DPS’s skill rotation is really difficult at the moment and the player’s skills are really divided, widely, so if I could go back I would make it more casual rather than make the DPS roles difficult like their current status. For the level 60 skill rotation, the players need to keep the basic rotation but also they need to make decisions to spontaneously react to the situation wisely but they have to do this while keeping the same rotation and without breaking it. If you can do it then that might be easy, some people can play the DPS role easily but it’s not for everyone, that’s why we see the log data and we see the division between people of the same job, the gap is too wide. Regarding in game add-ons, we might have said that before, the current status is “on hold” at the moment, the reason behind this is that if the development team gives add-on to players, most of them will use it to get a DPS meter or parser, if you use that you can see who is dealing the most damage and the less damage and there might be some discrimination against someone who can’t deal much damage. But what we want players to do is to think about the Party DPS and to support each other, this kind of thing. There are still reasons why we don’t give parser officially as well and unless the development team can solve this issue, we want to just keep it as a hold, that’s why it’s not really progressing. And finally the most happiest thing that happened in the last three years was that we were able to release Heavensward, at the time the original version was in a devastated status, and it was chaos, but now we can even hold dedicated events for FFXIV like the FanFests and we could release the extension. This would not have been happening if we didn’t get any support from fans and players so the development team and I would like to appreciate your continuous support. Not just that we were able to do the FanFest and even plan the next one, the reason why we were able to continue to the point of the 3rd anniversary is all because of the players support, so I would like to thank and appreciate everyone who have been supporting the game. Finaland : About the European Fanfest, the first one was in London then you asked the community where to have the next one, and Germany was chosen. So can we suppose that the next one, maybe in four years will be in France ? Yoshida : Is the third Fanfest going to be happening is still to be determined, but my goal is to run the third one of course and because UK, Germany and France are key areas in Europe it’s down to the European community team as well to decide the area for the third one. Eorzea Times : Two months ago there was Japan Expo, and Final Fantasy XIV and yourself Yoshida weren’t here. Lot of people were very sad because some of them planned to come to Japan Expo for FFXIV but it was not here. Were you not sad to not come and can we expect you to be there next year ? 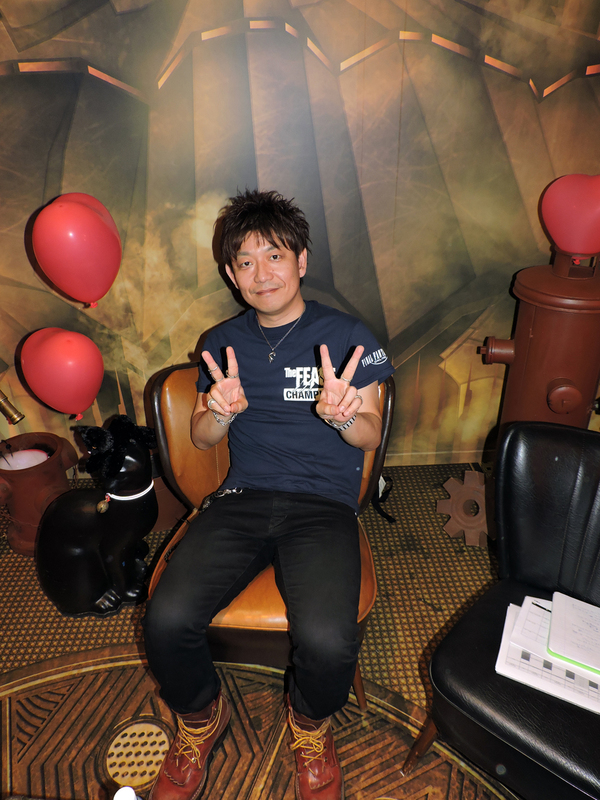 Yoshida : The reason why we didn’t come to Japan Expo this year is that I was working on a really tight schedule at the time, so it was difficult to manage time to travel at that time, but if you are looking at other events happening in France, the Paris Games Week is getting bigger and bigger so rather than using the PR cost and marketing cost at Japan Expo we will probably try to do something at Paris Games Week and research how this event could affect it. However Paris Games Week is happening in october, and that’s when the FanFest is going to be starting so my schedule is going to be really chaotic so I can’t guarantee that I will be able to come to Paris Games Week however if we decide on the details and if we can come we will make an announcement so if you can tell your readers and players communities that we are sorry about Japan Expo but there might be some chance at Paris Games Week.